The three perpendicular elevated lines of grass are to counteract the garden’s steep inclination. Buried under them is wood, good soil, and a drip irrigation watering pipe. The big holes filled with wood, stones, and bricks are for water collecting. 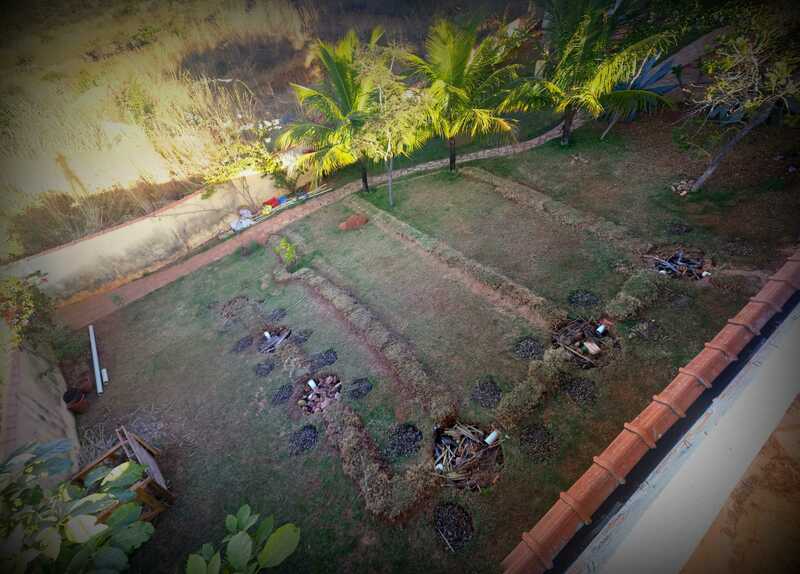 In the smaller holes around them we placed a banana plant each. And now it’s time to let things recover and grow.